February 08, 2016 Daniel Zismer, Ph.D.
December 15, 2015 Daniel Zismer, Ph.D. The number of health systems in the United States will be reduced by 50% over the next 10 years due to consolidation (mergers and acquisitions). Pressures on price, use of services and rising operating costs will cause smaller players to seek shelter in larger, better capitalized systems of care. Most physicians will work for health systems. Market dynamics, regulation and pressured economics will render private practice less attractive for all but a few clinical specialties who are able to exploit niche markets. Market disruptors can exploit profitable niche opportunities with innovations beyond the capabilities of large, less nimble health systems. Risk capital will flow freely to the best ideas, favoring such innovations as self-monitoring of health status and physiological function, wellness, high-value care methods and environments, (including the home) — and reductions of inefficiencies, redundancies and unnecessary procedures. Cost, quality, safety and value transparencies and increased out-of-pocket payments will drive consumerism. Consumerism will drive provider-side competition for patients. Patients will be armed with reliable data to make informed choices on quality, safety, cost and experience. The number of health insurers in the United States will be reduced through consolidation. The federal government will become the largest single payer. The U.S. government and a small handful of payers will control the majority of payments to health care providers. Virtual care will expand; acute and chronic conditions can be managed without patients and providers needing to be in the same place at the same time. The focus will be weighted to prevention of problems and keeping you as healthy as possible if you have a chronic condition. Provider work force skills and competencies will shift. New skills will include information analytics, information technologies management, virtual care support systems and related apps. Clinicians will be trained as members of interprofessional teams — expanding beyond one nurse working with one doctor. Upwards of one third of all health care provided in the United States will be identified as unnecessary and, perhaps, potentially harmful. Top health systems will build their brands, in part, on delivery of evidence-based best practices. Leading medical centers will build brand value based on designer therapeutics — such as customized approaches based upon patients’ genomic signatures. Medical tourism will become more common-place; global travel for perceived best care/best value will increase. The big names in United States health care will promote and export their brands globally. July 22, 2015 Daniel Zismer, Ph.D.
By 2024, the number of healthcare systems is expected to reduce by 50% to an estimated 900; there are approximately 1,800 in the U.S. today. Consolidation of the industry proceeds at an accelerating pace. Discussions with senior health system leaders regarding their visions for strategy indicates that many are charting a course for unfamiliar waters. Health system boards will be asked to approve strategic plans fraught with unseen risks. So, by definition, if the strategies and related tactics are unfamiliar, the related risks are either unknown or not fully appreciated for their potential negative financial and reputational consequences. This specter of risk has a broad span. Categories fall into the more mundane of: legal, regulatory, tax code and licensure and certifications (e.g., certification for state and federal payment programs), but the array is much broader including: financial, operational, reputational and what can be described as “derivative enterprise risk”; risk derived from various affiliations, contractual arrangements and “incident-to” third party relationships. Discussions with legal experts reveal that risks of emerging and novel health system strategies are far out in front of the available case law. Today’s strategic risks will become tomorrow’s case law. “Community Health System (CHS), (fictitious case derived from a combination of real-life facts and circumstances) has been aggressively acquisitive over the last five years, adding several small hospitals and affiliated employed physicians by merger. CHS keeps local boards in-place and the senior health system board delegates quality, safety and oversight of the medical staff to the local boards. With one regional hospital transaction, a surgery center joint venture (ASC) comes with the deal. The local hospital is a 49% partner in the JV. Two surgeons employed by the hospital are equity partners in the deal. Terms of the arrangement distributes profits based upon proportion of ownership. ASC management is delegated by contract to a physician-owned management company (physicians who are also equity owners of the ASC).Payer mix of the surgery center favors the best payers. CHS is a tax-exempt organization. The availability of space in this blog installment is insufficient to fully catalogue and explain the full spectrum of risk implied in this sample case vignette. It is, however, illustrative of the byzantine nature of risk potential deriving from new and novel health system consolidation strategies. Priority Areas of Emerging Risk: What Matters? The following is not an exhaustive array of the risks of strategy to be examined by a health system governing board and senior leadership, but is a good start. Readers should pay special attention to the nuance provided in the descriptions; four are identified as being of principal concern. The connection and promotion of “brand” as pursued through clinical service line strategies: 85% of health systems surveyed ([a]) reported they are actively pursuing or intend to pursue clinical service lines (CSL) as a principal tactic in a broader strategic plan. There is no accepted industry definition of a “CSL”. The typical brand promise delivered to target patient markets is; “highest quality, evidence-based, best clinical practices by all our physicians with a focus on well-coordinated, team care based upon your needs as our patient”. Patients assume all sites and all providers are on the “same team” with a “one best way” of treating “my problem”. In fact, the CSL is often a collection of variously affiliated (or not) physicians, clinics and other providers who, on any given day, perform variously on the operational “brand promise”. We will pursue the assumption of financial risk from payers for defined populations, as strategy. If third party payers are interested (at all) in transferring risk for defined subsets of “enrollees” it is certainly not at historically high price points and utilization run-rates. So, by definition, financial risk assumed, under contract, by health systems will be by terms and conditions that are unfamiliar. So, how is the health system to respond; i.e. how does it alter, modify, or change its care models and methods to succeed financially under newly assumed economic pressures derivative of assumed financial risk? A health system now employees 50% of all the physicians required to meet its mission, vision and strategic goals. Over the next five years that percentage will move to 80%. Growth in the number of employed physicians will be by acquisition of independent physicians (including all related practice assets) and by organic strategies (recruiting and hiring). Growth will span 20 clinical specialties at 10 geographic sites. Terms and conditions of acquisitions will vary and there is no standardization of employment agreements or compensation plans. Employed physicians will be covered for professional liability risks variously (i.e., the health system maintains policy coverages as they were for physicians when their practices were private). The health system may assume historic risks of practices acquired based upon purchase agreement terms and conditions; e.g., stock purchase agreements. Medical staffs of affiliated regional hospitals will include employed and independent physicians. Local boards will oversee quality of care and patient safety. Each hospital will manage an array of localized physician affiliation models and methods. These four questions lay the foundation for a comprehensive enterprise risk management strategy. It is important to remember that while risks maybe “insurable”, the costs associated with reputational risk may extend far beyond policy coverages. A rapidly consolidating health care market place will encourage U.S. health systems to higher levels of strategic risk. Senior leadership and health system governing boards will assume these risks. Good intentions and a community mission focus will not substitute for a comprehensive plan for managing unfamiliar risk. Might health care consolidation be slowing and if so, why and what might it mean? A perspective on where we are, how we got here and what is next. November 25, 2014 Daniel Zismer, Ph.D. Trillion dollar industries that consume significant proportions of the U.S. economy inevitably pursue increasing levels of efficiency requiring ongoing restructuring, known as supply-side consolidation. Eventually, fewer, larger, more efficient producers dominate markets until innovations or major intra-industry “breakthroughs” disrupt the relative equilibrium of products, services, markets and business models, and a new cycle begins. few constraints on health systems’ abilities to shift costs of negative-margin business to commercial payers. despite significant public subsidies of medical education and training, independent physicians have enjoyed relative freedoms to apply their professional interests and capacities to self-directed practice models and productivity profiles. So, aside from these cursory lessons in health care policy, economics and market behaviors, what’s the point? It’s obvious that the provider and payer sides of the U.S. healthcare system will continue to consolidate at an accelerating rate—hospitals joining together to form and expand systems of care, physicians joining systems of care to form integrated delivery systems and larger, physician-only practices seeking alternatives to “independence” as a driving strategy. This is not new market behavior. The difference between then and now is telltale signs that suggest larger health systems’ capacity to integrate additional hospitals or large physician group may be slowing or, perhaps, be nearing an end (at least for some). There is also emerging evidence, such as in the article, “What doctor shortage? Some experts say changes in delivery will erase need for more physicians” (Modern Healthcare, Nov. 21, 2013), challenging the long-held view that there is a shortage of physicians in the U.S., which may be best addressed with new models of interprofessional team care and modified models of total cost of care management. New models of team care may slow the efforts of U.S. health systems to “buy more doctors”. As U.S. health systems take on more financial risk through modified approaches to payer contracting (i.e. moving away from fee-for-service contracting models and methods) the incentives to aggressively add new capacity “at any price” may wane. So, is it too late for those who haven’t jumped on the integration bandwagon? Perhaps not, but there may not be an unlimited amount of time to participate effectively in a market consolidation cycle. A risk of waiting too long is market irrelevance. Physicians will sometimes react to such an assertion with “I have a valuable patient base.” The related question is, who (if anyone) owns patients in the markets ahead? Or, physicians may say, “The hospital CEO said I can sell my practice to the hospital at any time.” “Any time” is too long to wait when faced with a business cycle marked by rapid consolidation. Many physicians have also asked, “Are you telling me I have to sell and become an employee of some health system?” Again, the answer is no. However, it is important that physicians understand there may be a price to pay for adherence to a business model that is vulnerable in consolidating markets. “Lightning strikes” are good descriptions for market risks for physicians and health systems. A lightning strike is an unexpected, swift and precipitous negative market or policy event—one that threatens the ongoing viability of health services business models. Another observation is the imminent risks derived from a profession that has demonstrated a reluctance to accept, adopt and adapt known clinical (and managerial) best practices, including those available from the successful application of interprofessional team care. My colleagues and I at the University of Minnesota have demonstrated through several studies undertaken on behalf of MedPAC, that applied care models and methods across clinical specialties are largely idiosyncratic, meaning; “How we do it here is how it’s done.” Care models and methods, including the use of non-physician licensed advance practice clinicians, appear to be driven more by physicians’ individual choices and preferences, interacting with internal practice economics and compensation plans, than by models that seek to apply total physician capacity to its highest and best clinical use within a practice. A health economist colleague characterized this observation as the “trade guild” phenomenon; physicians learn their craft from observation, training and mentoring by other physicians, apply what’s learned and repeat until faced with overwhelming pressure to change. Such behavior is rational. But unlike the manufacturing of precision medical devices, for example, the practice of medicine holds high tolerances for variations in methods of manufacturing. More than one medical device company with solid technology and good prospects for success failed due to the risks associated with getting physicians to change their practice patterns and product preferences despite compelling evidence to the contrary. The goal here is not to challenge independent physicians’ choice of business model or judgment in pursuing their preferred professional path. It is to provide a cogent argument to properly consider the environmental risks to help make informed choices. At the end of the day, one’s professional satisfaction may outweigh the financial risks associated with any turbulent market cycles. Under no circumstances must a professional change if he or she can afford the price that comes with self-determined consistency of purpose and pursuit; meaning “the risks may be worth taking”. However, it must be noted that supply-side consolidation of the U.S. health service delivery industry will not move at a pace that provides for comfortable transitions of all physicians and health systems. July 23, 2014 Daniel Zismer, Ph.D. In June 2014 Barclays hosted its annual Healthcare Summit at their offices in New York City. I had the honor of keynoting day two of the conference. Barclays assembled a blue ribbon group of attendees and presenters composed of U.S. health system leaders, health system securities markets executives, credit rating agency executives and senior leaders from Barclays’ health markets investment bankers group. The title of my talk was “Issues the Credit Markets Should Consider When Financing the U.S. Healthcare System.” The value I derived from the conference (and wish to pass on to blog readers) was comments from an informed line-up of presenters and discussion panel members. Listed here are observations gleaned from these presentations. Where I believe appropriate, I have added editorial comments. I have limited this entry to the most important “baker’s dozen,” based upon my opinion. As the U.S. health system markets consolidate, there is no practical strategy that is based upon market monopolization. Health systems that believe they hold monopolistic market positions and related pricing power, should reconsider that thinking. Market demand for elective services (especially) is mobile based upon payer strategies and out-of-pocket exposures and changing incentives for the end users (patients). The future of the “obligated asset group” is in question. As health systems integrate and diversify beyond the traditional hospital business, credit markets and rating agencies recognize the financial importance of health system strategies beyond the hospital; including the effects on what credit markets have typically relied upon for credit performance (i.e., the core business of the hospital). Credit markets are appreciating that system component parts are inseparable from the whole. U.S. health systems preoccupation with the holding of what could be defined as “excessive liquidity” (especially days cash on hand) may not be viewed by healthcare investment markets as prudent management. While balance sheet strength remains important, the credit markets may become concerned when management believes the best use of company cash is investment in assets outside their core business. Capital markets are clearly betting on accelerating provider-side consolidation. Small players will experience increasing challenges, especially capital access. Many will hold out until balance sheet liquidity is weak. Acquisitions then become increasingly dilutive to the acquirers. Most health systems represented believe the payer markets will force a transition from FFS payer “mechanics” to pay-for-value. However, few have a committed view on what transformation actually looks like, or understand the costs of the bridge from the old world to the new. Large health systems that own health plans recognize the historic capitalization of these plans to be a “big bet,” but now view these investments as a cornerstone of their market strategies moving forward. U.S. health system conference presenters reported health plan capitalization levels in excess of $250 million. They also reported holding liquidity at multiples of statutory requirements. Health systems that evaluate their financial performance (including balance sheet condition) based upon peer rankings are missing the point. The key question is not “How are we doing as compared with our peer group” but rather “How are we doing given the realities of the markets we live in”? Some health systems in the group are spending significant time and resources on the assembly of networks of independent providers (physicians) dedicating significant time and resources to designs and mechanics required to “apportion financial risk transfers” from payers to networks of loosely assembled providers; with many (if not most) available to contract with multiple, competing health systems and payer strategies. The “bet” is a significant shift in payer contracting strategy. The question is the value of such efforts if this shift doesn’t occur. “Do you permit your employed physicians to contract directly with payers?" Questions like these demonstrate how health systems that are comparatively new to integrated health system design and management are likely to misunderstand the nature of the employment relationship with physicians, i.e., employed providers do not and should not operate as they can and do in independent practice. "We are not good at holding ourselves to the discipline of financial accountability, especially as it pertains to the financial accountabilities required of our three principal mission components: clinical care, research and teaching." Capital markets are becoming students of policy and related regulatory risk. Whether related to the ACA or other policy risk (e.g., the future of “provider-based billing”) capital markets (and market makers) are keen students of policy and potential risks to credits. A number of health system executives reported their approach to presenting market risk with either a “wait and see” attitude or a “walk before we run” attitude, implying that in their markets, they are able to dictate the pace of transition, expressing almost inconsequential concern for “market disruptors,” to derail their pace of change. This was an impressive conference with knowledgeable and experienced presenters who represented a range of perspectives on the future of the U.S. healthcare markets. Will a consolidated health insurance market (including the federal government) be willing to transfer a sizable proportion of the “premium dollar” to the provider side of the industry that admits having limited experience in the management of total costs of care for populations? Do health systems that wish to enter the “risk business” have balance sheets sufficient to support the costs of significant shifts in: organizational culture, strategy, business models and operating incentives? July 09, 2014 Daniel Zismer, Ph.D.
, hosted a small group of advisors (including myself) to discuss the growing consumerism movement in U.S. healthcare. organized and facilitated the session. As the day unfolded, the value of the discussion became apparent and, perhaps, useful to blog readers. Observations from the discussion and debate distilled to points and questions of interest today, as well as for future discussion and debate. 1) If healthcare reform spawns insurance coverages and products requiring increasing levels of out-of-pocket payments by consumers, will consumers actually become more active price shoppers or will they simply resign to paying more for healthcare with little or no change in behaviors relating to provider choice decision-making? On a related note, questions regarding provider pricing strategies were raised. Providers in the room seemed to agree that the jury is out on pricing strategies for a new consumer who may pay more out-of-pocket for services. Most agreed the risk of increasing bad debt is a concern. Regarding the more global question of increasing out-of-pockets leading to a more activated consumer, most leaned toward “yes”. 2) If out-of-pocket payments increase, will primary care visit volumes suffer as patients attempt to manage costs by saving for the more serious health needs and events? Correspondingly, will demand for urgent and emergency services rise? Are the health consumer behaviors and attitudes of Millennials, who apparently demonstrate less inclination toward physician loyalty, important in consumer strategies? This question leads to the important issue of brand loyalty and health systems. Brand promise and brand strategy are becoming terms used more frequently in C-Suites. The goal is to create brand loyalty, an enhancement of the likelihood of “sticking with” a health system for all care. This goal is especially important for larger, more fully integrated health systems that invest heavily in primary care networks as patient acquisition and referral strategies. The theory of the strategy is to control as much of the universe of healthcare consumerism as possible. This strategy is a big bet for all health systems entering the “payer fray” at this stage of the game. 6) While much has been said about public insurance exchanges, the effect of private exchanges is the object of much speculation by experts on all sides of the debate. If personal ownership of health insurance becomes ubiquitous, as some speculate, the challenges for health systems are effective, efficient and understandable translations of their value proposition to attract and retain valuable markets (i.e., individual patients). The conversation among the advisors turned quickly to health systems’ need to make quality, safety, access and total costs of care front runners in their brand promise strategies. 7) Health systems will need to fully appreciate a market-driven perspective on size and scale. Another key discussion point was how some health care financial experts are willing to assert top-line performance as a principal predictor of success in future markets; e.g., a health system needs to generate in excess of $2 billion in annual operating revenues to succeed. The topic of discussion here was, “Is this perspective over-simplified?” The argument against this assertion was, “$2 billion in annual operating revenues earned across assets positioned in multiple geographically dispersed markets is very different from $2 billion in operating revenues earned within one, unified market. The point of interest here is market leverage; a health system’s ability to leverage market position to its full advantage within contained and diverse geographies. With this session, advisors to Cymetrix wrestled with a range of issues related to consumerism and health system behaviors in the U.S. under the dynamics of legislated health reform. 1) If consumers assume more responsibility for health costs, out-of-pocket payments and health insurances become disconnected from the employer. Under such conditions, the marketplace can expect more “free ranging” in purchasing behaviors; meaning, the behaviors of the insured will be less fettered by corporate health plan designs and related rules. 2) Health systems and other providers will need to invest in brand strategies that enhance consumer loyalties. 3) Health systems will become more transparent regarding their quality, safety, customer service and total costs of care. Consumers will likely view total costs of care from perspectives that differ from those held by providers; i.e., what it will cost to manage a full care event or a chronic condition over time, versus price charged per a unit of service provided. systems of care that cause the user (the patient) to interact inefficiently and, perhaps, ineffectively among and between multiple, disconnected provider systems and individual providers—each operating from their own preferred business models and related incentive schemes. 5) Health systems will/should attempt to concentrate assets and capabilities within markets to provide a responsive, coordinated and broad range of services including, for some, the ownership of health insurance plans and products. So in returning to the beginning, why does Cymetrix—a revenue cycle company—care about healthcare consumerism? It may be because as populations become activated by the dynamics of a reforming healthcare market, attitudes toward health and healthcare change. With Baby Boomers and generations coming behind, consumers and their discretionary spending power could disrupt the traditions and conventions of health use patterns, dollar flows, and the strategy and management of the provider-side of healthcare in the U.S.
May 28, 2014 Daniel Zismer, Ph.D. The Challenges of the Comp Plan: How Physician/Provider Compensation Plans Might Hamper Strategy for Integrated Health Systems in Markets Ahead. What Can be Done. April 28, 2014 Daniel Zismer, Ph.D. Many health system executives have concluded, “Let’s pay them based upon the model they’re accustomed to: Productivity.” This conclusion and resultant compensation models have set in motion a pathway for physician work-effort that some might say is netting exactly what they were designed to produce; the good and the bad. The prevailing productivity-based physician compensation model is one based upon Work Relative Value Units (WRVU) produced. There is an internal value established per WRVU by clinical specialty. Cash compensation earned is derived with simple arithmetic; number of WRVUs generated multiplied by the internal value per-WRVU payment rate established. The model sounds good on the surface and it is often pitched to all stakeholders as one that is easy and reliable to administer. What is a useful and effectively operational definition of productivity in the context of an integrated health system? Does the model effectively align internal incentives? Where/how can the model be counter-productive? the work relative value unit is a standardized measure of a unit of physician effort. It was sanctioned by the federal government and reimbursement for professional services reimbursement runs on this track. With these rationale as a foundational platform for the production-based WRVU model for physician compensation, let’s examine how it is working and how it may work in a reforming healthcare marketplace based upon relevant applied research and opinions of IHS leaders and employed physicians. The model has decided advantages. Many are cited above. Beyond these, the model insulates physicians from the vagaries of payer contracts and related contractual adjustment rates that physicians don’t control and physicians are usually not accountable for related operating expense structures, direct or indirect, attendant to the work they perform. Physicians report “working to the plan.” Their ability to optimize their productivity (and cash compensation) may not be optimally productive for the IHS. For example: physicians (within specific clinical specialties) can generate WRVUs that are beneficial to themselves, but are more or less productive for the IHS. “Downstream” financial productivity is variably productive for the IHS with little or no effect on individual physicians WRVU productivity and derivative cash compensation. As a component of one applied research effort physicians were asked, “What is your reaction to the concept of “working to the top of your license?” Many responded with, “If that means I must deal with the more complex medical issues each day, I’m not interested.” The point being, many physicians are not interested in spending each day of productivity with the most complex clinical issues and as highlighted above, production-based compensation plans may not support such a strategy anyway. An interview with a manager of a large, subspecialized cardiology practice observes that a disproportionately high number of visit slots for some of the cardiologists are consumed by follow-up visits rather than new patient visits. Physicians defending this scheduling practice will often respond with, “My patients only want to see me.” And while the assertion may have validity, the overall productivity potential of the practice becomes limited by physicians devising their preferred model of practice versus one that enhances the productivity of the practice overall. Individualized practice pattern designs may, at the end of the day, be as or more productive for physicians given the design of their compensation model (i.e., every WRVU is of the same value for the physician but not, necessarily for the practice or the IHS overall). Secondary analyses of data from a research effort focused on interprofessional team care among physicians working with advance practice nurses (APN’s) demonstrated that for one group of subspecialists within a cardiology practice the wrvu system underestimated actual time spent with patients, while for a different subspecialty within the same practice the wrvu system actually over-estimated actual time spent with patients as much as 70% (the procedural subspecialties). One could conclude from this one demonstration that unless clinical departments within an IHS are of sufficient size and well-subspecialized, working from a compensation plan that equitably pays physicians across subspecialties within a clinical department, there is potential for considerable misalignment of internal incentives, coupled with a potential reluctance of physicians to collaborate with each other on patient care leading to discord and disharmony between and among providers (resulting from perceived compensation inequities) and sub-optimal patient care and patient experience within the department. As cited above, the compensation plans that operate in many U.S. health systems that employ physicians may be producing results as would be expected from their designs; i.e., incentives favor the production of “units of service.” On the surface this has made (and still makes) sense for a number of health system leaders during a time of rapid consolidation and integration of physicians with community-based health systems. So, how will/should IHS address the challenges of the production-based provider comp plans in the road ahead? physician leaders must become students of the forensics of the finances attributable to the intersection of the internal provider compensation plan with desired operating performance; i.e., learning how to troubleshoot operating incentives and their effects on the operating economics of the operating units and the IHS overall. Based upon the evidence at-hand, it seems clear that as models and strategies for integrated health systems evolve the need for physician/provider compensation model innovation and transformation is elevated to a higher priority on organizational development and strategic plans and should be on the watch list for physician leaders. March 10, 2014 Daniel Zismer, Ph.D.
means: a.) a large, multi-site, regional provider system that employees virtually all clinicians required to meet mission, clinical programming and strategic needs and/or, b.) a provider system, as described, that also owns its own health plan. The recipe for market strategy did not vary much between and among those consulted. Those that owned a health plan felt they had an advantage for some portion of their target markets, especially Medicare markets. The ingredients that composed the “recipe” were consistent, clear and concise across many of the executives interviewed. and total cost of care rates to full best-practice potential. The theory of this strategy is that, even though health insurers are under pressures to moderate premium inflation rates, real rates will remain on a positive, but reduced, inflationary slope for the foreseeable future. While health insurers—especially those operating in consolidated provider markets—typically have reasonable visibility on case costs and unit price paid, only the most sophisticated insurers have a handle on total costs of care supplied by integrated health systems for specific disease and health event categories. Consequently, if the more competitive and attractive integrated systems are able to negotiate revenue realization rates on a positive inflationary slope and, at the same time, succeed with reducing total costs of care, actual and aggregate health system profitability may be sufficient or even superior to historic fee-for-service performance. These health systems understand which clinical cohorts are the high consumers of care, including end-of-life care. Upwards of 75% of all US healthcare costs are attributable to those with chronic diseases/conditions. These systems seem to have a reasonable handle on where clinical care inefficiencies exist within high risk clinical cohorts and have the ability, through system design and available resources, to intervene and curb inefficient and ineffective utilization behaviors at the individual provider level. Research by my colleagues and me demonstrate that even when health systems employ licensed physician extenders across clinical specialties, few effectively leverage physician potential, meaning, in many instances, there is an excessive and inefficient overlap of work between and among the providers. Stated simply, physicians are doing work that licensed and trained extenders could do, in many instances. The more sophisticated and mature IHS’ have recognized this potential. They are aggressively re-designing the composition and clinical models of interprofessional teams to exploit the potential, including the re-design of provider compensation plans. As cited previously in this blog, integrated health services delivery is largely an outpatient business. It is my opinion that many, if not most, U.S. health systems are behind the curve in their investments in ambulatory facility assets and programming. Successful strategies typically emphasize fewer, larger, multi-specialty ambulatory centers including urgent care, and for many, full emergency care delivered at some distance from owned hospitals. Every successful business in the history of U.S. industry made a brand promise to customers and delivered on it. Healthcare is no different, including pharmaceuticals and healthcare devices. Brand value and brand promise should not be under-estimated as a principal strategic tool. Effective execution on a brand promise leads to brand loyalty and brand “stickiness”. Successful integrated health systems create many open doors to their systems of care. These doors are principally responsive to the users; not necessarily the providers. Not I.T. systems, but supported by I.T. systems. is defined by CEOs as the ability of organizations to ask and answer important questions from the data resident internal to their information systems: billing systems, accounting systems, electronic health records and patient information systems. Effectiveness in this regard requires systems and staff that have not, historically, been available in health systems. Effective informatics feeds organizational balance scorecards and provides for required ad-hoc inquiries useful for practical decision making. The art of the scorecard is knowing what outcomes and related metrics should be observed, evaluated and managed; i.e., the most important questions in need of reliable answers to improve the value of decisions made. In an article I published with Jay Sterns, head of public finance for Barclays, we examined the question of capital efficiency in integrated health systems. The working hypothesis was the well-integrated delivery systems should be more capital asset efficient; that is to say given their ability to better control the availability of supply of provider production potential and scheduling and flow of patients through the system, the ability to produce more revenue per unit of fixed asset (i.e., ability to better manage fixed asset turnover rates) should be superior to the traditional community health system design where most physicians are independent and therefore more are likely to compete for “prime-time” procedure room slots and are more likely to compete with their hospital (and other physicians) for profitable ancillary diagnostic and procedural services. The results of this study showed that for what were categorized as the more mature IHS’ (i.e., those with more time and experience as an IHS) capital efficiency performance was better than that of the less-integrated or less mature IHS’. Why do leaders of IHS’ see this asset efficiency as important and a strategic advantage? a) Compressed depreciation curves; i.e., expensive clinical and information technologies, especially, have practical useful lives that will prove to be less than assigned depreciation schedules, due to accelerating innovation and related obsolescence. d) the need to mitigate the financial risks of high-investment clinical programming; i.e. more capital-intensive clinical services and programs. Those experienced in leading integrated health systems recognize the value of a well-structured, well-led organized physician enterprise. I have referred to the physician enterprise within the IHS as the “economic flywheel” and argued that the IHS is a closed economy; the economic productivity of the physician enterprise dictates the aggregate economic productivity and financial performance of the IHS. High-functioning IHS’ are not collections of independent medical practices. IHS mission, strategy and operations is a team sport. Strategic, economic, financial success of an IHS pivots on the successful leadership of the medical provider enterprise. Under Jack Welch, GE’s strategy required it to be #1 or #2 in market share in any business it was in. As U.S. health systems have grown by mergers and acquisitions, many of the larger find themselves with revenue structures composed of multiple operating units spread over wide geographies occupying less than dominate positions in markets served. Said otherwise a $5 billion health system with assets spread over ten states holds a strategic and market share potential that differs from a $5 billion dollar health system with assets located within a fifty mile radius of the home office. There is evidence that larger U.S. health systems are re-shuffling their operating asset portfolios. Catholic Health Initiatives (CHI) comes to mind. Over the last several years CHI has sold assets and left certain markets to re-deploy liquidity gained in new ventures with, presumably, better prospects for improved market position and longer term strategic and financial performance. Leaders of healthcare financial advising houses indicate more M & A activity on the horizon directed to greater market strength positioning potential. CEO’s of IHS’ recognize that the integrated model provides performance potential that can produce strategic (and market share) results that are superior to less integrated models and thereby, advantages in the health market place ahead. But, THEY DON’T RUN THEMSELVES; meaning the integrated model is a tool. Performance is dependent upon the operator. (b) Zismer, D.K. ; “Brand Loyalty in a Reforming US Healthcare Marketplace-Applications of the Science and Lessons Learned from Other Industries”, PEJ, May/June 2012. November 07, 2013 Daniel Zismer, Ph.D. If we had to employ all the physicians required for our mission, market strategy, clinical programming and financial well-being by tomorrow, how many would there be (including their specialty FTE and location)? What is the “delta” between the number we employ today and the number forecasted in the preceding question? What would be the total cost of the efforts required to achieve the task described in #2? Would the task be affordable given the financial condition of our organization today? What would you do to optimize the full potential of the strategy? Five simple questions I have asked of hundreds of well-experienced and seasoned healthcare executives. None have ever argued the utility of the questions and none have had the answers at-the-ready. In an era where the interests of physicians in private practice is waning (especially for those emerging from training) the five questions, as presented, are pertinent, and the answers don’t need high levels of precision to be useful. A few executives have responded with, “doesn’t apply to me, our market is different from others, we’ll never need to employ them all”. Maybe so, but any sufficiently sophisticated health system board should hold the CEO accountable for the answers to 1-5 above. Answers to these questions have profound implications for health system: strategy, balance sheet condition, clinical models and organizational politics. : How the fully integrated model permits strategies that are unavailable or inefficient with the independent, affiliated medical staff model. : Effects related to balance sheet liquidity, especially; including the need to finance a comprehensive physician strategy to full fruition and productivity. Areas of focus include: clinical service line strategies, use of physician extenders and other licensed professionals, and application of evidence-based best practices and total cost of care strategies. Management of the reaction of independent physicians as the organization pursues employment and integration of physicians. November 04, 2013 Daniel Zismer, Ph.D.
health behaviors pattern recognition; the ability to use electronic health record information to recognize: health risks, patterns of use (or non-use) and failed or inefficient clinical strategies within populations. If the argument for 1-8 above holds water, how do community health systems acquire and apply there competencies affordably? Several health system CEO’s consulted on this topic believe there isn’t sufficient time or money to develop these competencies internally. They’ll need to acquire from qualified providers by purchase or partnership. November 03, 2013 Daniel Zismer, Ph.D. In fully integrated health systems (i.e. those that employ most, if not all, providers required for missions, clinical programming, strategy and financial requirements) the majority of net operating revenues will be generated in outpatient service arenas. Even the larger IHS’, serving populations of higher clinical acuity, are principally in the outpatient business. Discussions with larger, integrated health system show that inpatient care many account for as low as 27% of all operating revenues. The combination of outpatient diagnostics and therapeutics together with outpatient professional fees are likely to account for in excess of 55-60% of net operating revenues. for examples and related case studies). Financial officers in organizations moving to more integrated models typically report under-investments in the right type of outpatient care environments. Many also report the need to expand outpatient facilities at the same time inpatient facilities require upgrades and renovations. Financing rapid expansions of outpatient centers will remain a challenge well into the future. There are growing arguments for the application of alternative financings for strategic facilities for IHS’. CEOs and financial offers should examine critically the true weighted average cost of capital as it relates to tax exempt financings as compared with alternative financing models. Not-for-profit, tax-exempt organizations may “tip” too quickly to tax-exempt bonding strategies based upon traditional thinking as it relates to WACC analyses; especially to extent that credit agency ratings and bond covenant requirements cause capital to be “locked-up” within health system balance sheets; e.g. debt-to-capital, debt coverage ratios, equity and liquidity ratio requirements cause capital to be trapped in health system balance sheets when traditional tax-exempt bonding is the preferred route for asset financings. November 02, 2013 Daniel Zismer, Ph.D. Opinions differ. One health economist views health care providers as a “trade guild”. They do what they do, how they do it, based upon how they were taught to do it by those who learned from those who came before them. Not an altogether bad model for the professions, but this approach may explain why known best clinical practices take upwards of ___ years to find their way into accepted, common practice . Interprofessional team care is often professed as a means of achieving improving scale in clinical care (producing an equally beneficial unit of service at a measurably reduced rate of production cost). Clinicians apply interprofessional teams variously to patient care. In a study conducted by colleagues and myself physician specialists did a better job of leveraging their time with the use of licensed extenders (improving the productivity of their available time) while primary care physicians who worked alongside extenders were, for the most, doing the same jobs as the extenders (an 88% overlap in clinical output of physician and non-physician providers). what skills/competencies are required that are not resident with health systems today; e.g. rapid acquisition and deployment of efficacious health services delivery innovations (home-grown or those derivative of others’ work)? November 01, 2013 Daniel Zismer, Ph.D.
Today there are far fewer private cardiology practices in the U.S. Why – health reform? No, much simpler; the vulnerability of the independent medical practice business model to “lightning strikes”; especially those with “high voltage” financial effects. a high percentage of W-2 income available to the physician, derivative of office-based imaging diagnostics (e.g. nuclear imaging). One cardiology practice reported that 23% of physicians’ take-home pay was from the margins on these services. a high percentage of operating revenue to cardiology practices come from Medicare. When CMS and other payers reduced utilization and revenues for office-based imaging, cardiology practices reported high five-figure reductions in physician income, all at a time when hospitals were accelerating upward the compensation rate for employed cardiologists; especially the interventional subspecialists. Result, sale of practices to hospitals in exchange for higher, more secure incomes; at least for a while. Hospital and health system CEOs that depend upon the private practice model of physician services supply, should critically evaluate the vulnerabilities of the model across clinical specialties of high-importance to their strategies. Healthcare - Riyadh, KSA: Maybe not so different from the U.S.
Much of healthcare delivery is controlled by the Ministry of health (MOH). Saudi Nationals are provided healthcare by the MOH. Non-Saudi’s working in the KSA must be provided health insurance coverage by their employer. Upwards of 35% of the population of Riyadh are non-Saudi Nationals. The MOH is very sensitive to the care provided to Saudi Nationals; especially access to care and such events as premature discharges from hospitals. Upwards of 25% of Saudi’s are hypertensive and it is projected that nearly 50% of the population could be diabetic by 2025 due principally to life style issues, including obesity. Referral care is provided by multiple large, 1000 bed + regional tertiary centers referred to as “medical cities”. These medical cities provide highly sophisticated, subspecialized medical care by referral or access through emergency departments. Discharges from a medical city is challenging as many patients prefer to receive ongoing care following critical care treatments. Primary care is available from 2100 + regionally – positioned primary care centers. Much of the care is episodic; access for ongoing care for chronic conditions is a challenge. There is little integration or coordination of care with the Medical Cities. There is a growing private health insurance market and a growing market for private hospitals and related healthcare providers. Population growth is creating demand for health services that is rapidly outstripping supply. Much of the nursing support is provided by expatriates, including those from the Philippines. Post-graduate, specialty education for physicians is limited. Many physician specialists do their training in Europe and Canada. 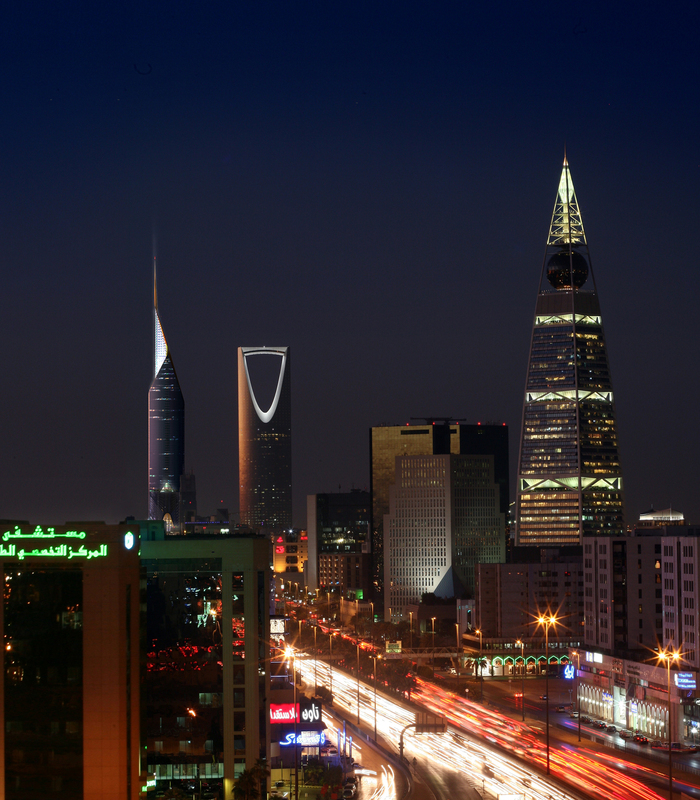 The city of Riyadh is less than 70 years old. The youngest medical city is about 10 years old. A new one is under construction now. Health care costs as a percentage of GDP is less than 6% due, in part, to the proportion of revenues derived from oil trade. Healthcare is considered to be as important corner stone in the foundation of the KSA’s responsibility to the population. Articles on health and health care are prominent in print media daily. Physicians employed by the medical cities are compensated on the basis of salary. Rural areas remain under-served according to experts consulted. Males and females occupy clinical and management positions within the Medical Cities. October 31, 2013 Daniel Zismer, Ph.D. The Twin Cities Healthcare landscape can be summarized as highly consolidated, ostensibly integrated and, at some level, all systems of care look pretty much alike. Five large care systems of varying size dominate the market. There are four non-governmental payers of varying size with three owning most of the commercial health insurance market. One provider system has an integrated health plan with an excess of one million enrollees. All health systems employ physicians across the spectrum of clinical specialties. All boast high quality and given the nature of the marketplace, pricing (or at least reimbursements) is comparable across health systems. Physicians who are not employed by a integrated health system are, for the most part members of large, single-specialty group practices with most dedicating a high-proportion of available clinical capacity to one (or perhaps two) health systems. Every large commercial payer (health plan) is important to all the health systems. No health system has committed to one payer. Even the health system that owns and controls an HMO has a provider system that “plays” in all health plans. To the average person “on the street” health care in the Twin Cities is a commodity; i.e. all are “high quality” and actual out-of-pocket financial exposures are pretty much the same across provider systems. An interesting strategic challenge is how a health system differentiate itself under such market conditions? October 29, 2013 Daniel Zismer, Ph.D. The smart money should be on “all of the above”. My take is reimbursement to providers will be an “experimental science” for the foreseeable future. It is unlikely that the payer markets will flip a switch and convert largely from a fee-for-service world to a neat, clean and understandable new world of health services pricing and payments. The less integrated community health systems are scrambling. There seems to be a return to the behaviors of the late 1980’ and early 90’s; the “PHO” era. Independent physicians and community hospitals are quickly forming enterprises to “accept financial risk”. The Pioneer ACO experiment is underway. By all accounts, some are making progress. Others have already dropped out. The more integrated health systems with years of experience under their belts seem comparatively unconcerned; “accountable care organization? We’ve been that for decades. We can contract for, accept and manage payments in any form. It is more important that we get paid, and less how we’re paid”. Structural design of provider systems will need to accommodate reimbursements in multiple forms. It follows then that the more integrated health systems should be best positioned to convert various forms of “risk payments” to profitable financial performance as a result of the characteristics of the integrated health system design; especially the ability to control or sufficiently influence the totality of the required operating expense and capital structures including clinical models, provider productivity and related compensation. The more integrated health systems typically place “accept financial risk from payers” high on the list of market tactics. Why? Because they know many of their competitors can’t. Accepting contracted financial risk is only step 1. Organizations must internalize the competencies to manage that risk to sufficient profitability. This brings us to the last and perhaps most counter-intuitive point. The market cycle we’re in now may be the most profitable for the more integrated health systems ready and able to accept and manage financial risk. Why? It is highly likely that the health insurance premium inflation curve (governmental and commercial) will remain on a less steep, but positive slope going forward. Consequently, financial risk transfer inflation curves for providers are likely to remain positive as well, but at a lesser slope grade. The provider systems that are able to reduce total costs of care, while maintaining quality will benefit from a widening differential between realized reimbursement rates and total costs of care through the cycle (however long it lasts). So, health systems prepared to pursue financial risk contracting as a principal strategy and are also prepared to reduce total costs of care at a rate that exceeds downward pressures on volumes and costs will benefit disproportionately to those who are unable to function this way; at least for a while. What is the real cost of capital for not-for-profit community health systems? October 28, 2013 Daniel Zismer, Ph.D. Historically, calculating cost of capital for asset-based financing for not-for-profit community health systems was relatively straightforward. The tax-exempt debt markets set the index rate and all other forms of capital were comparatively more or less expensive based upon simple and straight forward calculations of differential cost-to-borrow rates. A ten dollar calculator and one introductory finance course was all that was required. Furthermore, U.S. accounting standards favored long-term, tax-exempt debt over “more expensive” alternative capital access options such as third-party leasing. Health care leaders, strategists and finance officers are challenged to broaden their perspectives on the consideration related to cost-of-capital evaluations. 1. U.S. accounting standards are likely to move closer to the international standards. As a consequence, the comparative differences between the accounted costs of tax-exempt debt-financed facility assets and the accounted costs of leased-financed facility assets will change, making the lease option arguably more attractive than in the past (a). 2. Speed to geographic targets becomes strategically useful, especially as it relates to staking-out key markets with larger, more sophisticated outpatient service sites. What is the real cost of losing a market, because tax-exempt debt capacity was constrained when the opportunity presented? 3. What is “long-term” when considering the useful life of an expensive facility asset? Is every location a 25-30 year strategy? What value is there in preserving the right (by lease) to exit an unproductive market (and facility asset) by way of favorable lease termination rights? 4. What is the value of preserving balance sheet liquidity for tactical opportunities such as mergers, acquisitions and physician integrations? 5. How useful are historic standards of financial strength based upon scaled metric comparisons among peers e.g. “we are at the 70th percentile for days cash-on-hand within our peer group”. Absolute cash liquidity is most important; especially if many in the peer group are sinking. 6. What is the real weighted average cost of capital (WACC) when bond covenants and bond rating agencies require significant levels of capital “lock-ups” to satisfy the risk requirements of tax-exempt debt sold to markets expecting stable, low-risk, tax-free returns. Realistic evaluations of balance sheet positions and true costs of capital in the healthcare markets ahead are not simple math problems anymore. And, timely execution of strategic asset development and deployment will require health system leaders to step out of their hard asset financing comfort zones. October 25, 2013 Daniel Zismer, Ph.D.
Military assets hold great tactical potential for strategy, but if not deployed to targets at the right time may be of little or no value. “We don’t think like that”. This was a very candid and honest response, not an indictment of the concept. The point is, speed-to-target is an important element of any strategy, the assumption is the right tactic deployed at the wrong time (or too late) may be a waste of time, resources and opportunity. New facilities strategies, especially, require long lead-times; frequently from 3-4 years from start to ribbon cutting, depending upon land acquisition and prep requirements and design, engineering and construction challenges. As consolidation of the U.S. healthcare market place proceeds apace, health system leaders will need to consider speed to targets, among other important elements of effective strategic plans, and strategic critical thinking. The right solution a day late may be worth zero (or less). October 24, 2013 Daniel Zismer, Ph.D.
financial, operating and strategic performance is evaluated at the site and service line level. The brand promise for patients is the expectation of “best practices delivered consistently from provider-to-provider and site-to-site”. Health systems formed largely by community hospital affiliations have, historically been under-girded by a “promise” that challenges a basic clinical service line design tenet; “when you join our system, the design and delivery of clinical care will be kept local, after all you know best what your community needs”. If physicians are independent (not integrated by employment) their approach to clinical care within their specialty is self-directed, and while quality of care may be sufficient, it’s challenging to present a well-coordinated care experience, especially if a team approach is required to optimize care over time. Absent full integration of all components of a clinical service line across multiple sites, it is challenging to execute on direct contracting strategies with payers; especially contracts where the health system assumes financial risk for chronic conditions for defined populations. Clinical service lines require a modified approach to accounting; an approach that sufficiently captures operating revenues and direct operating expenses within and across participating sites. Health systems operating larger-scale, geographically distributed clinical service lines need to be tolerant of a matrix-like management model led by the “dyads” as cited. Dyads must interact successfully with site leaders (e.g. CEOs of hospitals that host service lines) and be sensitive to the “local” cultures and other clinical services and programs operating. Clinical service lines can create psychological stress within sites. One CEO wondered whether he had become the “hotel manager”; operating the house where clinical service lines (led by others) lived. So, from the perspective of the patient point of view, clinical service line models as described here seem to make sense. For the classically trained hospital leaders and the traditional hospital-centric organizational structures, they can prove to be a shock to “the system”.